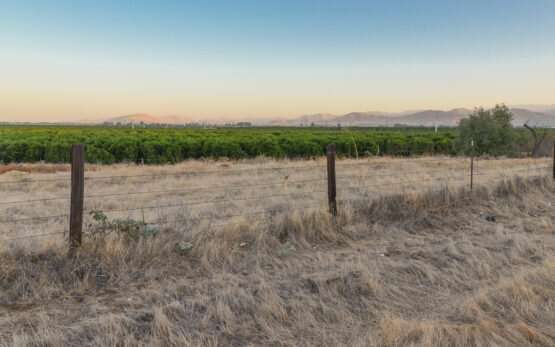 In California, the amount of water exiting aquifers under the state's most productive farming region far surpasses the amount of water trickling back in. That rampant overdraft has caused land across much of the region to sink like a squeezed out sponge, permanently depleting groundwater storage capacity and damaging infrastructure. The trend – and a 2014 mandate for sustainable groundwater management in the state – has ignited interest in replenishing aquifers in California's Central Valley through managed flooding of the ground above them. But until now there has been no reliable way to know where this type of remedy will be most effective. New research from Stanford University suggests a way to map precisely where and how to use groundwater recharge to refill the aquifers and stop the sinking. Even under a scenario where pumping never exceeds the amount of water going into aquifers, the model predicts continued sinking as past overdrafts take their toll. "There is a time delay in the system," said geophysicist Rosemary Knight, senior author on the study and a professor at Stanford's School of Earth, Energy & Environmental Sciences. "The only way we can stop it is to be strategic about what we do with our available recharge water." In a normal year, water in canals, reservoirs and rivers is sufficient for most irrigation in the Central Valley, while aquifers provide a supplement. In recent drought years, however, surface supplies came up short and farmers contributing to the region's $17 billion agricultural industry relied more heavily on groundwater. "It's a perfect storm of an extensive agricultural industry combined with low precipitation, warm temperatures, the need for pumping groundwater and an abundance of clay that is prone to subsidence," said Knight. Clays here that compact when pumped dry also tend to be rich in arsenic, which intensive pumping can release into water supplies. "So you have problems with water quantity and water quality," Knight said. Recharge methods now in use or under serious consideration in California involve flooding fields or orchard groves during the winter months or creating year-round recharge ponds. "The key question is where does the water go?" Knight said. "If you're going to flood a farmer's field, you should be sure it's going to work." Knowing where water will go underground depends on mapping the intricate channels of sand and gravel that interlace tightly packed clays and silts. In California, that information often comes from drilling contractors' reports to state regulators, which are expensive to acquire and do not cover areas between or beneath the drilled wells. As a result, the most common approach to dealing with subsidence is reactive. "If we are proactively managing then we can prevent unrecoverable storage loss," said lead author Ryan Smith, a professor at Missouri University of Science and Technology who completed the research as a Ph.D. student in geophysics at Stanford. "I realized that both of the datasets were linked to clay content," Smith said. "I thought, if there's a mathematical way to connect these two, then we could build a predictive model of subsidence." The study describes a method for adapting existing math and physics algorithms to integrate the two datasets into one model. 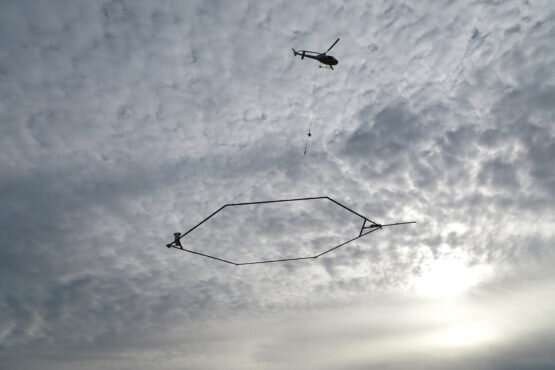 Only a sliver of California has been mapped with both types of remote sensing data, noted Tim Godwin, a senior engineering geologist with the California Department of Water Resources, which has supported Knight's efforts to expand airborne electromagnetic surveys in the state. But as these datasets grow, he said, coupling them with tools to predict sinking will help answer questions about the best ways to meet sustainability goals. "Groundwater managers will be able to more accurately predict susceptibility to subsidence conditions and have greater confidence in proposed projects," he said. According to Smith, subsidence in the coming years could be even more severe than the current model indicates if drillers deepen the region's wells to cope with future water shortages. "There are still deeper, largely untapped aquifers that, if pumped, would have a dramatic pressure loss," he said. "That would cause the clays to compact more than they do in the portions of the aquifer being used today." Nice in theory, but given that all the water is accounted for, where will they get the water to flood the fields? I'm sure people in the CA coast won't like paying even more for water, with additional water use restrictions.